The decision came after a 2011 study by the German Federal Institute for Risk Assessment (BfR) reported that high consumption of omega-3 fortified foods could exceed the 1.5g recommended daily intake of DHA and EPA. The EFSA panel noted: “At observed intake levels, consumption of omega-3 LC–PUFA has not been associated with adverse affects in healthy children or adults.” The panel specified that there was no significant risk with long-term supplemental intakes of EPA and DHA combined up to about 5 g/day; it also qualified that supplemental intakes up to 1.8 g/day of EPA alone do not raise safety concerns for the adult population and up to 1 g/day for DHA alone does not raise any safety concerns for the general population. July 2012 also marked the end of EFSA’s massive review of the almost 3,000 potential health claims submitted by industry. In the final group of five opinions, EFSA rejected the application regarding soy isoflavones and positive outcomes in a number of health conditions including menopause, reducing low-density lipoprotein cholesterol, and the delivery of antioxidant benefits. 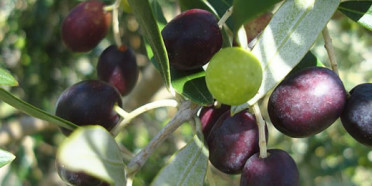 A month earlier, EFSA upheld its scientific opinion that evidence was lacking that consumption of olive oil polyphenols (standardized by the content of hydroxytyrosol and its derivatives) maintained normal blood HDL (high-density lipoprotein) concentrations. Researchers at the University of Pittsburgh have determined that healthy young adults can improve their working memory by supplementing their diets with 2 grams of Omega-3 fatty acids per day. I hope it works for ageing correspondents like yours truly. Incidentally Professor Welma Storehouse at Massey has also completed a study on cognitive performance which shows positive results. BASF are investing in the ex- Equateq plant in the extreme North of Scotland to make products for the now 1.5Bn global market for nutraceutical omega-3. This makes for an interesting competitive battle between DSM and BASF.DSM has just completed its acquisition of Ocean Nutrition and has just announced it has bought Fortitech for $634 M. The purchase of Fortitech, which supplies ingredients for infant nutrition as well as dietary supplements, follows about 1.8 billion Euros in takeovers by DSM to expand in nutrition, including the purchase of baby-food ingredient maker Martek Biosciences. Chief Executive Officer Feike Sijbesma is steering the company away from lower-margin, commodity-based businesses. “The acquisition of Fortitech is the ninth acquisition in the Nutrition cluster since we announced our corporate strategy DSM in motion,” Sijbesma said in the statement. We missed Vitamin D Day, which was observed on Nov. 2 in the U.S. We don’t, however, miss our daily vitamin D3 supplementation, in part because of the education undertaken by the Dr John Cannell of the Vitamin D Council. Cannell says that supplementation is the “single most important thing you can do to take care of and improve your overall health,” particularly as sunlight wanes in the Winter .His rule of thumb: If your shadow is shorter than you are, you are manufacturing sufficient quantities (assuming you bare enough skin to the sun); if it is more than twice as long as you are, you are not making much at all and require supplementation. (I spent a useless half hour experimenting with this test). Lewis Road Creamery is a new butter manufacturer based in Otakiri in the bay of Plenty. Two very nice products have just been released a salted and unsalted butter. About 14% of global palm oil is certified for sustainability, according to the Roundtable on Sustainable Palm Oil, and while countries such as Indonesia have remained sceptical, Unilever and other multinational companies are leading the charge. “Unilever will share its 2020 traceable palm oil vision and make a call to the industry to partner together to make 100 percent traceable certified palm oil a reality,” said Cherie Tan of Unilever. The cholesterol levels of U.S. adults have been dropping since the late 1980′s, a new study suggests – and not just because of the increased popularity of lipid-lowering drugs. Researchers said that cholesterol, which is closely tied to heart disease risk, may be looking better because of improvements in diet, including the substitution of vegetable oils for less-healthy trans fats. They found average total cholesterol dropped from 206 milligrams per decilitre in 1988-1994 to 196 in 2007-2010, with a similar decrease in “bad” LDL cholesterol. It will be interesting to see if the same is happening in NZ. To convert from the US of mg/dL to mmol/L divide by 39. So the US average is down to 5.3 mmol/L. Recent guidelines suggest we should be below 4.5 for low risk although historical advice has been to get down below 5.0. There are guidelines for LDL and HDL and triglyceride-best see your GP if interested.